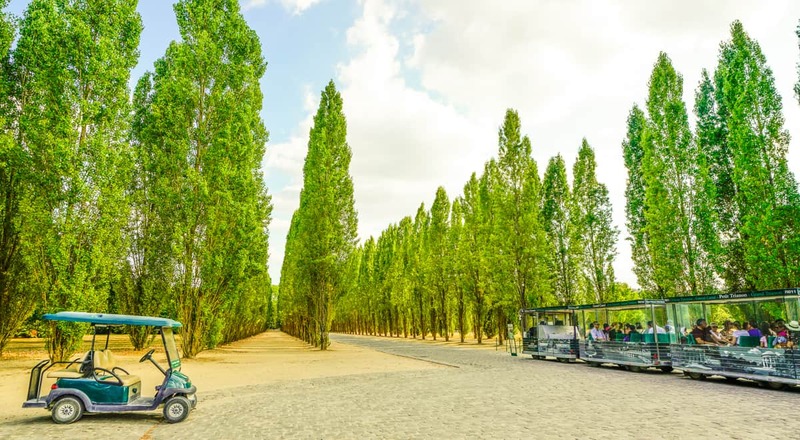 Bicycles, Segways, rowboats, trams, and golf carts are some of the many ways you can explore the Versailles Gardens. 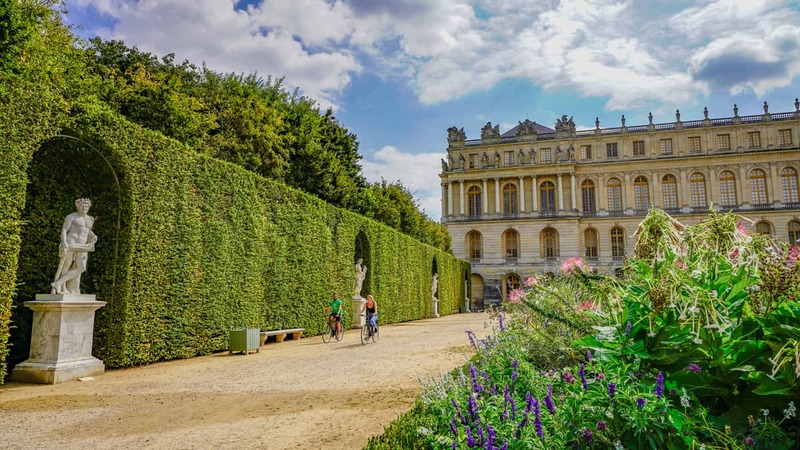 Why Travel to Versailles, France? 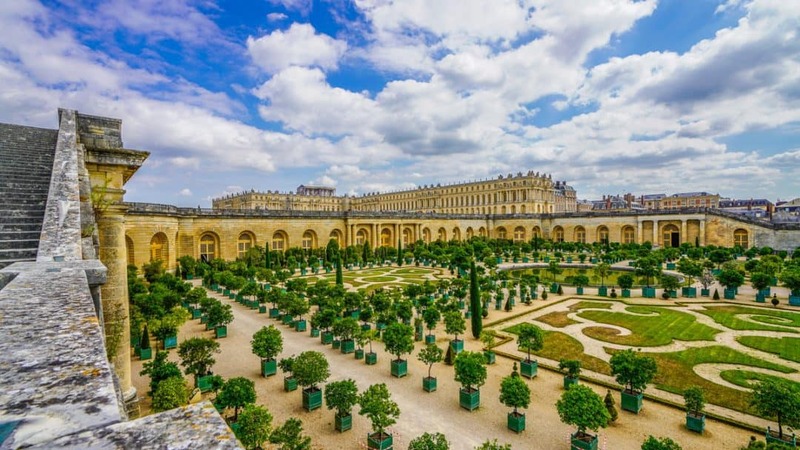 Versailles was once the hub of French royalty; its beauty and French history continue to be a cultural force. Many parents might be fans of the recent shows, Versailles, Outlander, or Sofia Coppola’s Marie Antoinette. 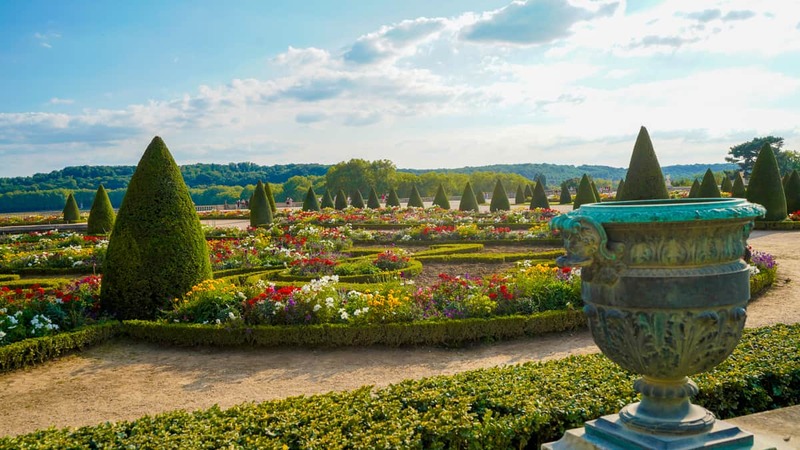 The Versailles Palace and its gardens are absolutely worth seeing if your trip to Paris can spare a day. In fact, we encourage you to stay a night or two. Although the city of Paris holds endless charms, a few slower paced days at the French royal palace can be a welcome rest. And of all the popular trips from Paris, Versailles is absolutely the easiest to get to and to navigate once you are there. From Paris to Versailles, guests leave the heart of the city but remain in the capital of French history. There’s an iconic scene in Raiders of the Lost Ark where a master swordsman confronts Indiana Jones in an Egyptian market. He swirls his blade from side to side like a band majorette intending to intimidate, but Harrison Ford loses patience, grabs his pistol, and shoots him. That’s a great analogy to taking the train to Versailles versus just getting an Uber. It’s not that using the French train system is difficult. It’s just so much easier to call an Uber based on the size of your family or age of your kids. Our trips cost us approximately €35 each way from the center of Paris. We chose this option because we had luggage and checked into a Versailles hotel, but I probably would have still chosen Uber for at least one of the trip legs for how easy it is. Foreign visitors crowd the palace year round. Consult the event calendar on its official website to experience it outside of the crowds during parties and performances. For those who find the train makes more sense, it is still a very easy trip that will cost under €20 for a family of four with children. The commuter rail, the RER trains, connect Paris and Versailles with the yellow “C” line. Visitors can catch the C line all along the Left Bank at the RER C stations: Tour Eiffel (Champ de Mars), the Musée D’Orsay, and the St. Michelle-Notre Dame. In Paris, commuter rail fares are charged by the zone. The further from the city center, the more expensive the zone. Should you already have an all-access Métro card, you would need to pay a supplemental fee since the Métro covers zone 1 only. The Château stop is located in Zone 4. Children under 4 ride free on all Paris trains. Children aged five through ten pay half price. In the stations, trains are identified by their final, terminating stop, and the train you seek is the C5, and the last stop: Versailles Château Rive Gauche. The Château isn’t far on foot. Just follow the mass of people, and you will be fine. The gardens are a destination unto themselves, even if you decide to skip the palace. The easiest way to save from standing in long queues is to purchase mobile tickets on your phone. 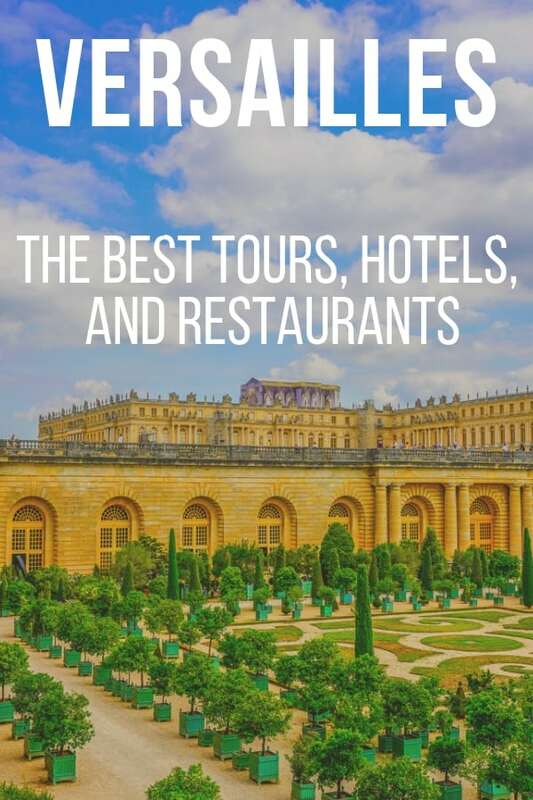 We used the app, Get Your Guide, many times during our stay in Versailles as its offerings cover everything you could buy in advance. 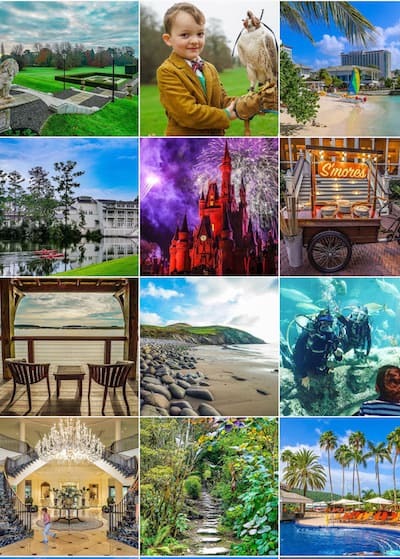 Get Your Guide includes hundreds of destination tours and entry tickets, and I found having every ticket in one app for our Paris and Barcelona vacation very convenient. Children under 18 and EU residents under 26 are free and require no ticket for entry into the Palace. Having the mobile ticket in advance saves you from standing in line to buy a ticket at the Palace. Even guests with tickets require a security queue and cannot skip the line. Go straight to the security line by 8:45AM if possible to be the first inside the palace. You can also order tickets which include a timed entry tickets with an audio guide. Those who have the Paris Museum Pass for 2, 4, or 6 days can also use the pass for entry into the Palace. This is a smart choice for those who plan to visit the Louvre, Musée D’Orsay, Versailles, and one other museum or monument. Children under 18 are free at all Paris museums, so only parents need to purchase them. If you choose to wing it on your own there are two more advantageous times to visit the palace. If you’re an early rising family, it makes sense to queue for the palace entry at the very beginning of the day, fifteen minutes before opening time at 8:45AM. The other option is to into the Palace around 4PM when queues begin to lighten and the tour buses have departed. The palace is open until 6PM during the high season in the summer. The Palace is quiet at sundown. There are several tours that take guests from the Paris city center to Versailles and include a palace tour and return transportation. There are also private tours from Paris, too, that include transportation and would be better options for families. But given the ease of reaching Versailles, I’d suggest booking a tour where the meeting point is at the Palace. You’ll save a bundle on the tour cost. Additionally, it is better visiting the Palace and Gardens of Versailles outside of the tour bus rush. Here are some that we recommend. 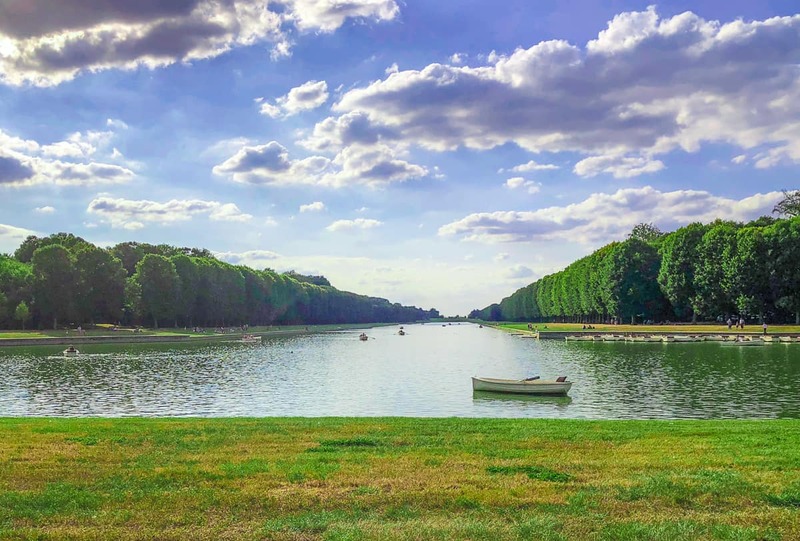 Fat City Tours offers a full day of biking around the Palace of Versailles, time to grab a picnic to enjoy on the grasses of the gardens with unbeatable views, and a guided tour. The day begins in Paris and includes transportation to Versailles (where guests are matched with their biking equipment). Fat City Bike Tours offers children’s bikes, bike seats, and a variety of options for families. 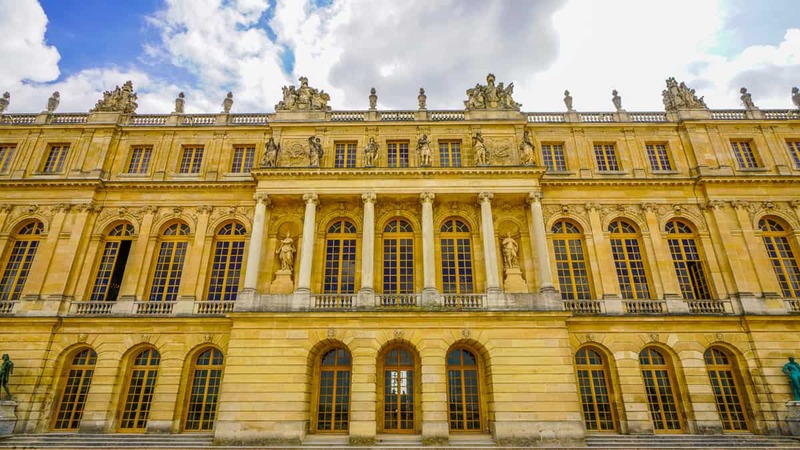 Fat City Tours also offers a VIP version of this tour that includes an hour’s guide inside parts of the palace that are only open when escorted by an official Versailles Palace guide. The bicycle tour can accomodate most bike set ups for children of every age. There are two options for families wishing to tour the palace with children, a group tour or a private tour. This tour is reserved for under 20 participants and includes round trip transportation from Paris. From our own travels and experiences, we feel that splurging for the private experience pays off in case other families on your tour have children whose behavior distracts from everyone’s experience. We learned this the hard way making pizza in Florence. This is a private tour for your family only. It lasts two hours led by a guide skilled in presenting the palace in a way that is fun for children. It does not include transportation, as families meet the guide at the statue of Louis XIV in front of the main entrance. 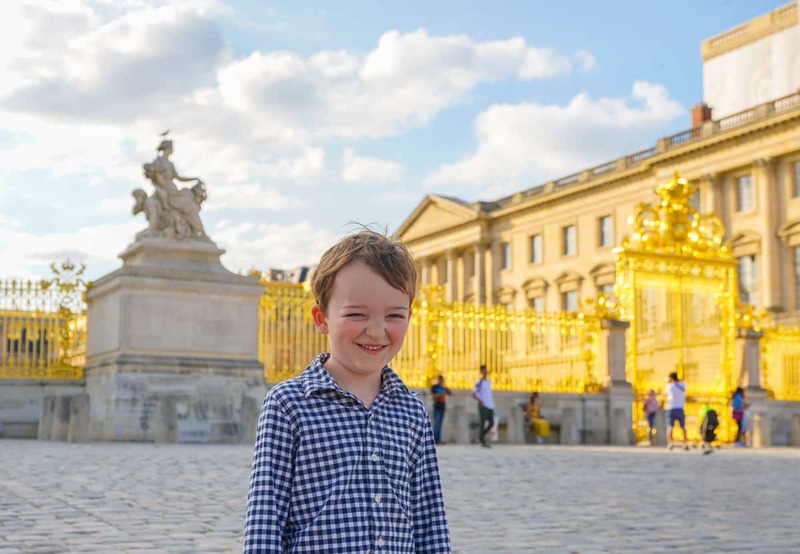 Guides can help children understand the architectural and historic significance of Versailles and its gardens. Segway tours are a fun way to see the expansive gardens for those aged 12 and older. My daughter and husband participated. Neither had ever ridden on a Segway, and both claimed it was intuitive and easy after five minutes. Their guide had studied in Boston, and his English was excellent. He provided engaging historic commentary that my daughter enjoyed repeating to me. 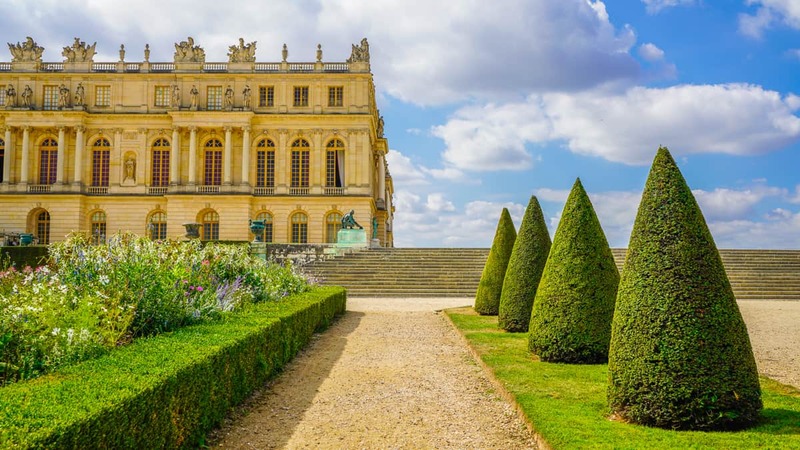 Guests travel to the Petite Trianon and Grand Trianon Palaces as well as Marie Antoinette’s Hamlet. 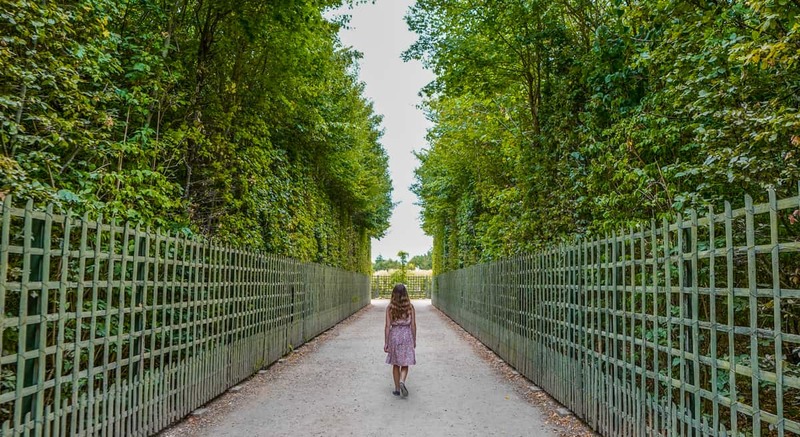 Of our full week in Europe my daughter claims this experience to be her favorite of the entire trip, and if your children are of age you should absolutely book this as a way to experience the spectacular scale of the gardens with smiles instead of whines and eye rolls. For obvious reasons, the Segway tour doesn’t go in the Palace. They don’t even let guests wear high heels inside. The gardens are massive, and it would take a few days to truly explore all of it. Strollers are absolutely essential if you have young children. And the dust from the graveled paths is significant. Your shoes will be layered in beige dust. Keep the white jeans at home. The various facilities are so spread out that visitors do as much walking as they would do on a Disney World vacation. I know. I was wearing my Fitbit. Unfortunately, it would take an unusual child to be enthralled by these gardens for more than 20 minutes. But there are options to retain their interest. A little train or tram circumnavigates the property from set stops. There are restaurants and options for afternoon treats located around the route to create a destination with purpose for your children. The loop is Palace North Terrace, Petit Trianon (Where the Angelina ice cream and pastries are), Grand Trianon, top of Grand Canal (near Little Venice) and a return to the Palace North Terrace. Rowing boats at Versailles’ Grand Canal. Natalie, another Luxe Recess contributor, and her family have a big thing for boats of all kinds, so they enjoyed renting row boats in the Grand Canal. Golf carts are really a favorite way to cover ground if you have younger children. The best and most location to rent them is just at the beginning of the Gardens near the palace tour exit. 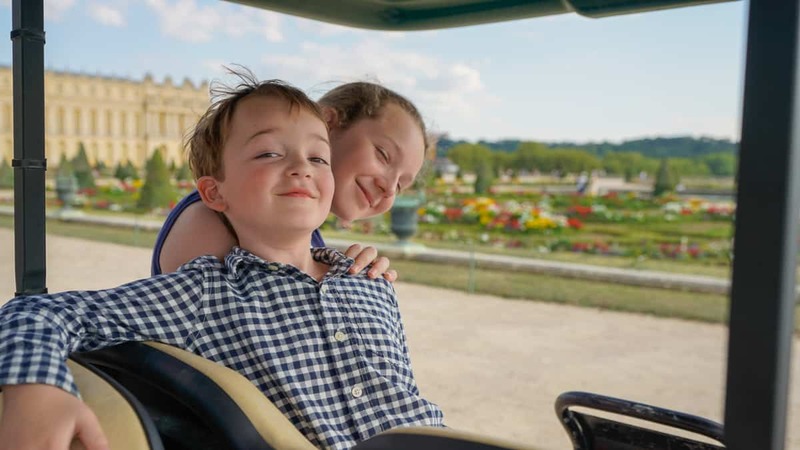 A golf cart is tough to beat for a family to explore the gardens without a complaint. This is experience is first come, first served. There are more than 30 carts, so once they have all been taken out, the wait for a cart is unpredictable. The last departure is 5:45PM during the summer hours, and you must return the cart by 6:45PM. Guests must present a driver’s license, not a passport. The cart plays an audio guide and French classical music and doesn’t go very fast. They follow a GPS defined track, and should you feel independent and want to leave the path, the cart will automatically stop and tell you to reverse. The little train departs from the Petite Trianon Palace stop. I really enjoyed this experience, but I have a thing for golf carts. The path is somewhat limited, not varying much from the Segway or little tram routes. We had the freedom to park the golf cart occasionally and linger longer at certain places, too. The palace gardens are free most days except when they aren’t. During high season, from May through October, there are garden and fountain shows on the weekends and some Tuesdays and Wednesday. The main perk of these days is that the groves of the garden are open. Tall hedges along the main pathways contain numerous smaller gardens and fountains that are typically closed outside of these special events. Is the Musical Gardens show worth it? Not if you have been to Vegas! On Tuesdays and Fridays are the Musical Gardens shows, but don’t waste your time or €32 for a family of four for Musical Gardens. We made sure we hit one of the fountains participating in the Musical Gardens on a Tuesday during our stay and were as underwhelmed as we could possibly be. I applaud the effort for any historic estate to increase attendance and sustainable revenues. But even watching the Bellagio fountain show in Las Vegas on YouTube on a tiny iPhone screen would be more exciting for children than what we saw. 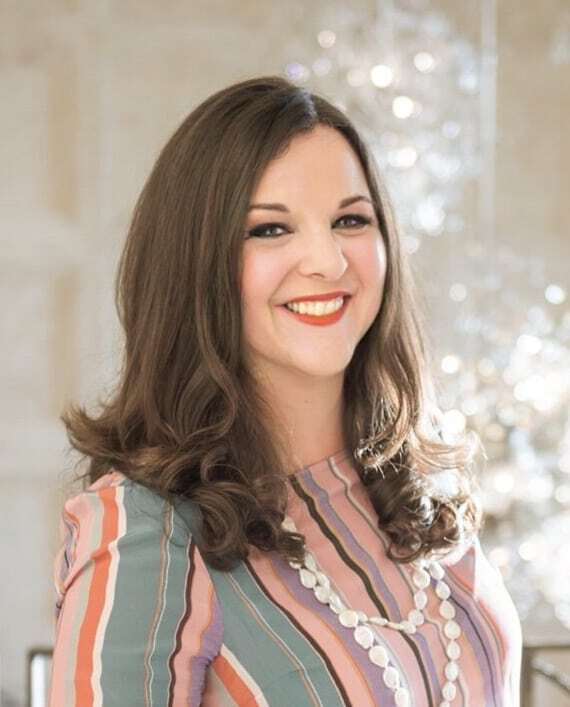 Lissa Poirot, a travel writer and planner, got luckier and visited the gardens during the Musical Fountains shows that occur on Saturdays and Sundays in high season and some Tuesdays. The Musical Fountains program proved to be far more entertaining than the Musical Garden program. Because she was there on a Saturday, she and her daughter also saw the Fountains Night show. The moral of the story is to tolerate larger Saturday crowds in order to see the garden programming at its finest. The restaurant I was most eager to try in Versailles delivered mixed results. 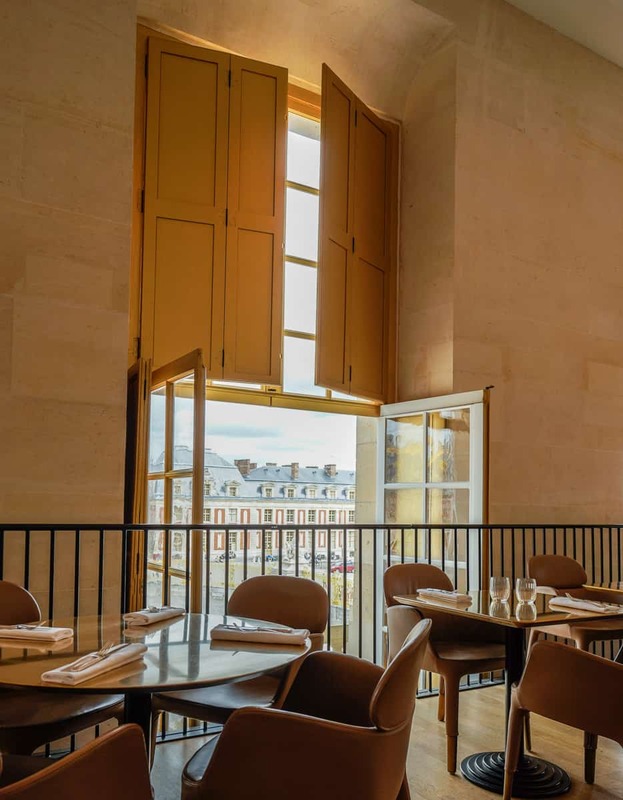 We had a disappointing experience for lunch at Ore by Alain Ducasse. This was the opposite of our experience at his Jules Verne restaurant at the Eiffel Tower. Ore opened inside the Palace in 2016. It opens for breakfast, but we chose lunch at 1PM so that we could tour the palace towards the end of the day when I heard the crowds were lighter. Ore opened in 2016 inside the palace. It’s an Alain Ducasse restaurant. Breakfast and lunch guests have the option of purchasing a passport with their meal to bypass the ticket lines, but this feature doesn’t really save much time when one can easily purchase online instead. The set menu for the adult is €40, and a great deal including a glass of house or red wine, half bottle of mineral water, and two choices of an appetizer, entrée, or dessert. Children can order off of the a la carte menu, and my daughter found a ravioli to her liking, while my son ordered the steak frites from the Prince & Princess menu. Our meals were mostly good. My salad of heirloom tomatoes and buratta was delicious, but my salmon was inedible. It wasn’t because it wasn’t prepared well (and it photographed well! ), but it was the most flavorless piece of farmed salmon. Everyone else was happy with their choices. The service was our worst on our entire vacation in France. The restaurant is consistently busy, warm without air conditioning, and I just got the impression the staff hated working there and hated their patrons, a never-ending onslaught of tourists. When I travel overseas I do my best to appreciate a European time frame for a meal and don’t expect the 15-minute express lunch we Americans get used to. But we did wait an hour after our meal to close out our check because our servers refused to look our way. Given this warning, by all means, give it a try. I’ve set your expectations realistically. And stay away from the salmon. Ore opens for dinner, when I imagine the restaurant truly comes alive. More locals from the Paris area make the trek to dine at night. Rue de Satory is a close walk to the Palace entrance. It is a street open only to pedestrians and is lined with several restaurants of various cuisines: pizza, Lebanese, sushi, French, and health food. The street is conveniently in between the palace and the RER station to return to the center of Paris. Le Blé Noir is a family-friendly crêperie serving galettes. Galettes are naturally gluten-free. 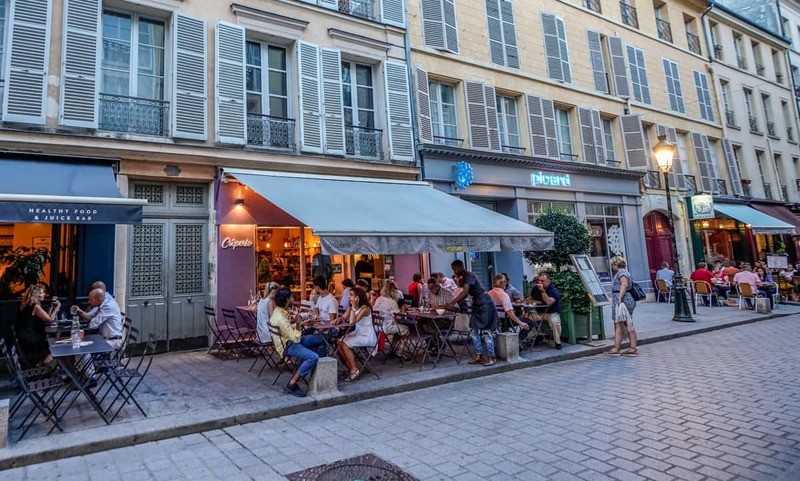 The foodie destination is Le Bistrot Du 11 at 10 Rue de Satory. Our trip occurred during its annual August closure by one day, so I was disappointed to miss it. I took my gluten-free husband and kids to a galette cafe, Le Blé Noir. These buckwheat crêpes from Brittany are gluten-free, though the traditional dessert crêpe has gluten. We all loved our various flavors surrounded by French families. We actually spent two nights in Versailles. First, we wanted to savor the scale of the gardens, which would take a few days to cover well. They are massive, as I have explained. Trianon Palace is adjacent to one of the garden entrances at Versailles. 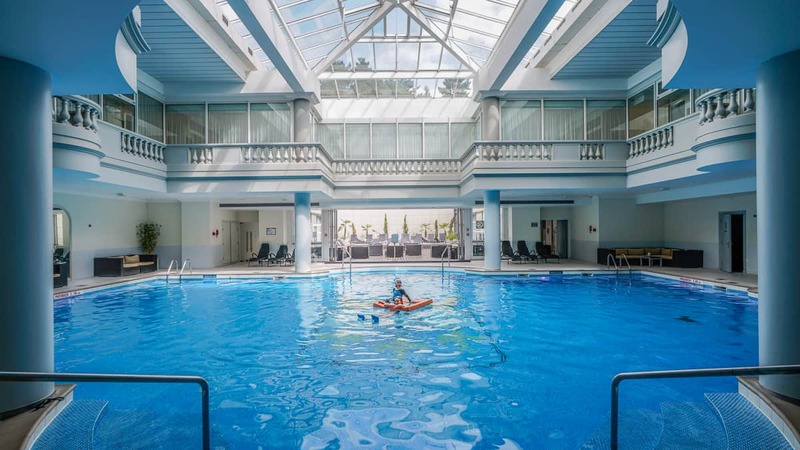 I had stayed at the hotel once before with my husband, and I had always wanted to return as a family to combine a resort vacation with a Versailles experience to break up the arduous pace of Paris sightseeing. 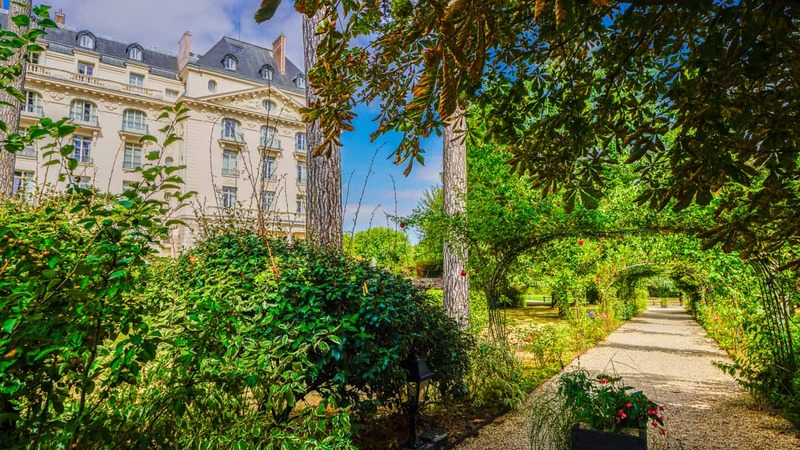 Less than fifty feet from a Versailles entrance is Trianon Palace. The newer Pavilion building is seen on the right. During the high season, the Trianon Palace Hotel offers a shuttle service to its guests to the Champs Elysée area for a day of touring or shopping. The hotel also offers a kids’ club on weekends and family programs on holidays like Christmas and Easter. For our two nights day, we booked a family room which means two adjoining rooms. One had a king bed and the other came with two twin beds. 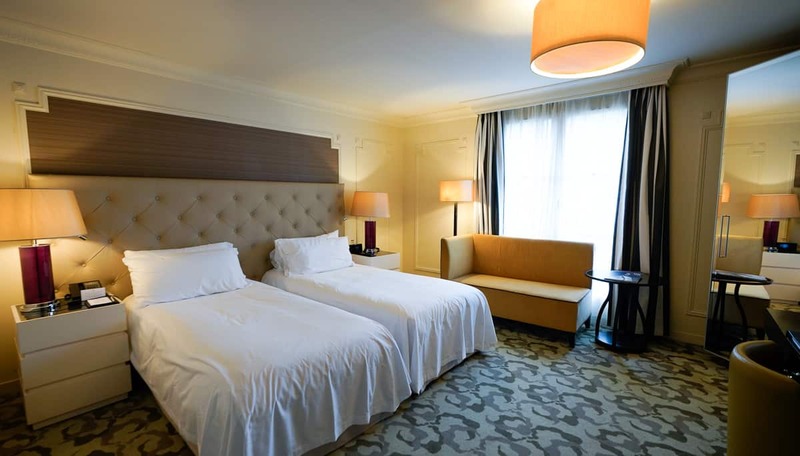 Family rooms come both in the Pavilion building and in the hotel’s main building. The family room came with an adjoining twin-bedded room in the Pavilion building. The walk between the two buildings is insignificant so I don’t think that it really matters to pay premium to be in the main building. We were longing for a rest day as jet lag caught up to us. We headed for a swim in the beautiful spa pool where children are allowed until 7 PM. There’s a closet in the pool filled with pool toys, floatable baby items, and goggles for children to use. There’s an attached open-air sun lounge as well as a fitness center off of the pool. The lifeguards on duty ensure guests take a shower before entering the pool and walk through a foot bath before and after. If the life guard on duty doesn’t speak English, be prepared for them to approach you about these rules in French. The pool welcomes children every day until 7PM. I had read recent mixed reviews about the food served at the hotel. People were not impressed with the quality and value they received for the price they paid. We only ordered room service for dinner and breakfast and were very happy with both. The food was actually very good, as I stuck to menu items that I felt would be best and avoided those that would disappoint picky American children. Luxe Recess contributor Natalie also stayed here with her family and enjoyed the pool and restaurant. The property contains gardens, an indoor pool, an outdoor sun lounge, and large spa. 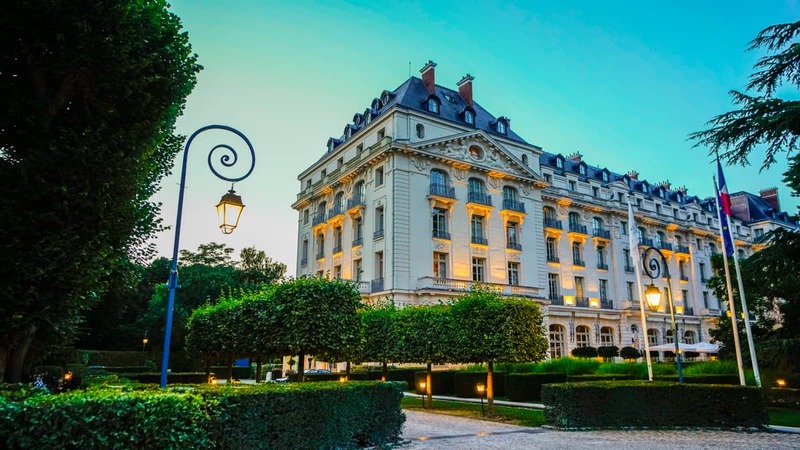 Hotel Le Louis Versailles Chateau, a Sofitel property located adjacent to the RER train station, and Hotel le Versailles both offer family rooms and suites. 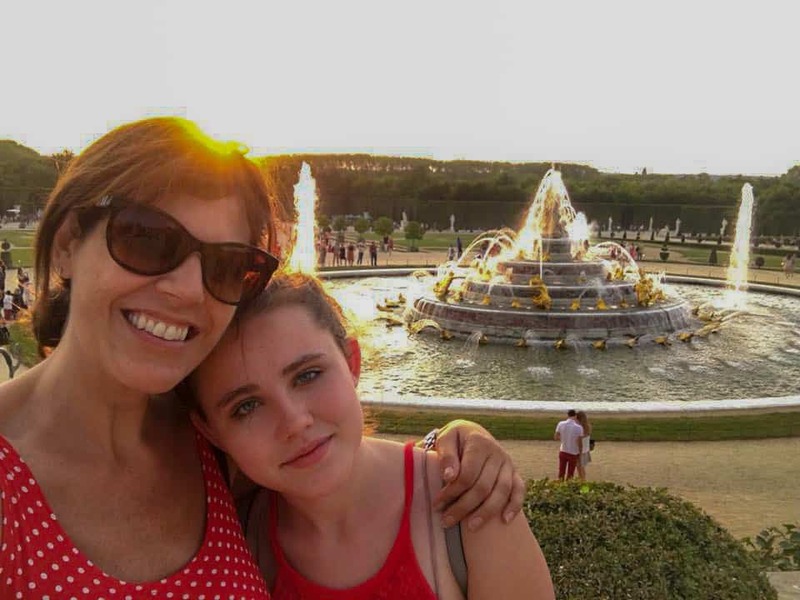 Our stay in Versailles was a family trip I had wanted to do for years. My only regret is that we ventured out to Versailles in between two stretches of sightseeing in Paris. I’m still not sure I think families with young children should make a day trip of the Versailles Palace. I think it merits at least one night. I wish we had waited to visit after our days in Paris to enjoy the more resort like pace. The children loved swimming every day in a massive, uncrowded pool at the Waldorf-Astoria. I would have had time to sample the spa. These are very easy regrets to have. We’re glad we spent a few nights in Versailles for a slower pace.